Who do we work for? Our client portfolio is a mixture of agencies (which we work for as a subcontractor) and companies (which we work for directly). What creative solutions do we offer them? Most people know us for our marketing copy, specifically our native English-speaking and German copywriting. We also do quite a lot of conception work, from high-level brand positioning to channel-specific campaign strategies. You might not know we also offer media production and film directing. And we cover all of these services with our in-house team! Browse a selection of our work here. On our About Us page, you’ll also find the people we like to work with, an established network of professionals who support us in delivering multilingual texts and website programming, as well as design & layout on a case-by-case basis. Is it by chance that the same region that brought forth the printing press is also home to world’s largest publishing event? steelecht has worked for Frankfurter Buchmesse since 2005, helping them produce a large portion of their marketing copy. We provide: conception, strategy, copywriting, copyediting, translation and adaptation, mostly in British English and German, sometimes in other languages, as well. This Frankfurt-based company is the world leader in styrenics, a type of polymer with unique properties that are attractive to many industries, such as automotive and healthcare. steelecht has been providing creative solutions to Ineos Styrolution since 2013. We provide: conception, strategy, copywriting, copyediting, translation, design & layout, web programming and print production in both American English and German. If you’re the type of person who prefers boutique hotels to chains, you may very well have stayed the night in a “Worldhotel”. The Frankfurt-based affiliation provides marketing services to hotels that want to benefit from the collective strength of a global hotel brand, while still retaining their individual character and unique identity. steelecht has been providing Worldhotels with creative solutions since 2008. We provide: conception, strategy, copywriting and copyediting in English, as well as design & layout. This world leader in dental solutions is historically based in Hanau, Germany. Today, Kulzer is a company of the Mitsui Chemicals Group of Tokyo, Japan. Since 2016, steelecht has been providing Kulzer with Native English-speaking and German copywriting, covering everything from the conception of new product storylines to the creation of voice-over texts for videos. Whether we are writing for dentists or dental technicians, steelecht ensures the message is tuned to the target group and appropriate for each channel. The ING-DiBa AG, based in Frankfurt am Main, is one of the largest and most popular direct banks in Germany. Since 2018, steelecht has been supporting this bank with marketing texts and transcreations in English and German – for example with website texts, advertisements and headline formulations. There is often a special focus on sustainability. This film university builds on the tradition of one of the world’s oldest and most influential cinematic ecosystems. The town of Potsdam, just outside Berlin, was where Studio Babelsberg was founded in 1912, which brought forth such timeless classics as Metropolis (1927) and Grand Budapest Hotel (2015). 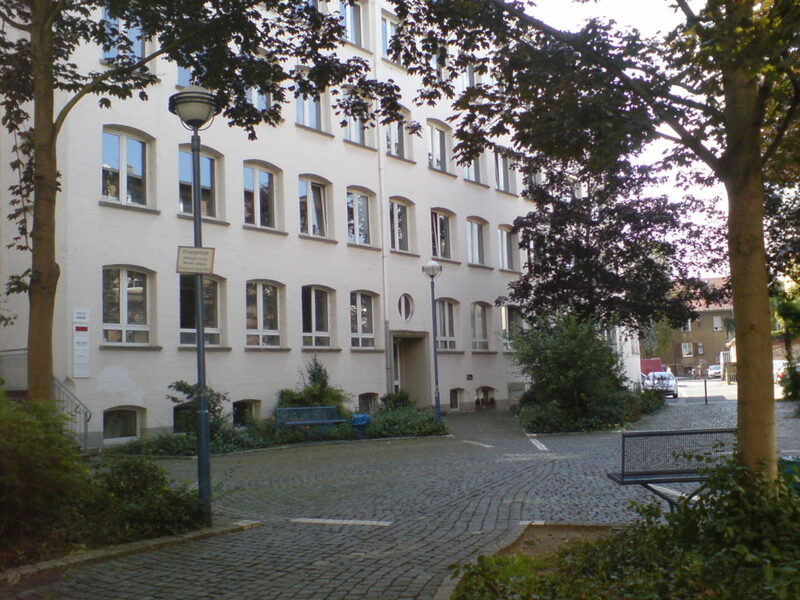 Since steelecht also has experience in film directing and media production, Filmuniversität Babelsberg likes to come to us for native English-speaking and German copywriting. We know movies behind the scenes. Hanscraft is a craft brewery with original and creative interpretations of the classic German beverage: beer. Based in the countryside about one hour from the steelecht office, we are proud to support this local pioneer with communication for their international clients. We create and transcreate English language marketing texts for them, mostly for flyers and other print collateral. Pink Carrots is a creative agency specialized in communication for the healthcare sector. We provide Pink Carrots with native English-speaking and German copywriting for their international clients such as Zeiss, novo nordisk and VDW Dental. From time to time, we’ve also supported them with other creative solutions such as content strategy and conception. Based in Berlin, DFFB is one of Germany’s leading film academies. Through steelecht’s work in the field of cinema, we have established a wide network of film professionals. As a result, in the winter of 2017/2018, steelecht was asked to transcreate the publication “FILMSPARKS – 50 Years DFFB” into English. In support of this cultural institution, we provided our services at a considerably lower rate than for typical industry clients – while still upholding our commitment to top quality & reliability in every text we delivered. Learn more about the publication here. This creative agency situated on the shores of Germany’s Elbe River in Hamburg has been a steelecht customer since 2017. We serve a common client, thyssenkrupp Elevator. Elbkind Reply GmbH is in charge of the design and digital implementation of different content marketing portals for thyssenkrupp Elevator for which steelecht delivers the texts. One example is urban-hub.com. Our core services for Elbkind Reply are: conception, strategy, copywriting and copyediting in American English. Situated in the heart of southern Germany, Paul Hartmann AG is a world leader in medical solutions, specifically in the fields of wound care, incontinence, disinfection, and surgical efficiency. HARTMANN solutions are available in over 100 countries around the world. The company has been a steelecht customer since 2015. We provide: conception, strategy, copywriting, copyediting, transcreation and translation in English and German, as well as design & layout. Like steelecht, ArtemisConcept is a boutique, owner-operated advertising agency based in the heart of Offenbach am Main. With our focus on text-based communication, we ideally complement the design & layout competence of ArtemisConcept, which is why we often team up on projects. We deliver the native English-speaking and German copywriting, Artemisconcept delivers the visual work. We share responsibilities like conception, strategy and project management. We have worked together since 2010 for international clients such as UL, Ineos Styrolution, Hartmann and Worldhotels. Much like steelecht, CORD is an owner-operated boutique agency in the Rhine-Main area of Germany. With a core competence in design & layout, CORD turns to steelecht to complement their skillset with native English-speaking and German copywriting. Since 2005, we have collaborated on many projects, such as for their clients HahnAir and Primus-Linie. Similar to steelecht, Seippel & Weihe is a small, owner-operated advertising agency in the city center of Offenbach am Main. We primarily support them with English copyediting for their international clients. The marketing copy they require is usually for B2B communications, e.g. fact sheets and advertisements for Dupont. This Frankfurt-based event agency is specialized in three-dimensional communications, i.e. architecture-driven communication for trade fairs or museums. The sophisticated exhibits, booths and presentation stages they create are often accompanied by English-language marketing copy. steelecht has been delivering such texts for Atelier Markgraph since 2005. We provide: conception, scriptwriting, copywriting, copyediting, adaptation, translation and transcreation in English, mostly for their client Mercedes-Benz. Offenbach is full of surprises, including high-end production companies like CPP Studios, with fully equipped studios to produce state-of-the-art corporate videos. steelecht has been providing CPP Studios with conception, film directing, audio directing, scriptwriting, copywriting, translation, adaptation and transcreation in English and German since 2006, primarily for their customer IBM. This owner-operated agency in Frankfurt am Main has been a steelecht customer since 2006. Damm & Bierbaum serves a wide portfolio of B2B customers, such as Kulzer and Buderus as well B2C brands, such as Hassia and Sentido, for which we provide English-language copywriting, conception, adaptation, transcreation and translation. We also work together for our common client Kulzer. thyssenkrupp Elevator (tkE) is one of the world’s leading manufacturers of elevators, escalators and other vertical and horizontal transport systems found in buildings, airports and municipal spaces around the world. steelecht has been working directly for tkE since 2017, and indirectly through the Frankfurt digital agency Triplesense Reply from 2014-2017. Today, we share tkE as a common client with the Hamburg agency Elbkind. We primarily provide tkE with conception, strategy, copywriting and copyediting in American English. This world-leading PR agency has one of their main offices in Germany in Frankfurt. steelecht has supported Edelman.ergo with creative solutions for their international clients since 2009, including C&A, Unilever, Merz and INEOS Styrolution. With a focus on native English-speaking and German copywriting we also provide Edelman.ergo with conception, copyediting, adaptation, translation, transcreation, film directing, media production, design & layout, web programming and print production. This Frankfurt-based specialist agency supports their clients on the high-level positioning of their brands and products. steelecht has worked for ISK since 2014. We provide their international clients with creative solutions, such as product naming, brand positioning and campaign conception as well as copywriting and copyediting. One of the more prominent clients we have supported ISK with is Brita, the world’s leading manufacturer of household water filters. This is an owner-operated media production agency based in Frankfurt am Main. steelecht has worked closely with Goebel+Mattes since 2012, mostly for their customer SAP. Besides native English-speaking and German copywriting for video voice-overs, we also provide them with conception, film directing, audio direction, copyediting, translation, transcreation and adaptation. This Hamburg-based agency is one of Germany’s largest and most prestigious. Since 2015 steelecht has been a subcontractor for Jung von Matt, providing them with native English-speaking and German copywriting, copyediting and transcreation. We mostly work for their client BMW. The word “syzygy” stands for the moment when the sun, moon and the Earth align on one axis. Solar and lunar eclipses occur at times of syzygy. But a syzygy may also refer to the alignment of any three celestial bodies. With that in mind, it’s a fitting name for one of Germany’s leading digital agencies that brings all the key elements together required for their clients’ digital success. steelecht has been providing Syzygy with marketing copy in English since 2006. Our creative solutions include: conception, copywriting, copyediting, translation, transcreation and adaptation for their clients Mercedes-Benz, BMW Motorcycles, DHL, Pritt and many others. C&A is a family-owned Dutch company and one of Europe’s leading clothing retailers, with stores practically in every corner of the world. C&A is pioneering the clothing industry with responsible sourcing of materials and the support of organic farming. steelecht has provided marketing copy for C&A via the PR agency Edelman since 2013. Among other things, we have supported the development of the C&A Corporate Language guide, as well as provided copywriting and copyediting in English for their corporate website and diverse press releases. BMW is one of Germany’s most iconic brands and also leading the way in terms of state-of-the-art communication. Their recently relaunched websites BMW.com and BMW-M.com are exemplary from a technological, design and communication standpoint, using consumer-oriented storytelling in a new and engaging way. steelecht is pleased to have provided the transcreation for this website into English. steelecht works for BMW via the Hamburg agency Jung von Matt, providing: conception, copywriting, copyediting, translation and transcreation. For the “Ambiente” consumer goods trade fair operated by Messe Frankfurt, steelecht provided bilingual native English-speaking and German copywriting for the descriptions of products that were recognized by the Solutions and Design+ awards. We visited the client to learn about the products, and then wrote bilingual descriptions for brochures that were distributed at the fair. Designstudio speziell based in Offenbach designs consumer goods and fair stands, and provides other creative solutions as well, such as for their customer Messe Frankfurt. We provided German-to-English transcreations of marketing copy describing products that received an award for their unique or beautiful design. The texts were used in brochures for Messe Frankfurt. Underwriters Laboratories (UL) is a safety certification company, best known for their UL Standards and UL Marks, required for almost any consumer product which is sold in North America. Via the Offenbach agency ArtemisConcept, steelecht has been providing creative solutions for UL since 2010, including: conception, copywriting, copyediting, film directing, media production, translation, transcreation and adaptation in English and German. The concept & texts for the website ul-certification.com originated substantially from steelecht. This Frankfurt-based digital agency provides its clients with cutting edge design and communication. A steelecht customer since 2014, we have mostly worked for their international clients thyssenkrupp Elevator, Vodafone and Merck. steelecht primarily provides Triplesense Reply with conception, copywriting, copyediting and transcreation in English and German. This is one of Japan’s leading agencies, with affiliates in every major market around the world. Since 2013, steelecht supports the German branch of this agency with conception and marketing copy in multiple languages, including German, English, Dutch, French, Swedish and Polish. We have worked for their clients JNTO (Japanese National Tourist Organization), Cup of Noodles and Honda. Decor Walther is a leading provider of quality bathroom furnishing, supplying international clients, such as Apple, with state-of-the-art fittings and accessories. steelecht began transcreating marketing texts for Decor Walther in 2018, not just into passable English, but into elegant copy that aligns with the discreet luxury of their portfolio. Headquartered in the same city as steelecht, Offenbach am Main, we are proud to support this local business with our creative solutions. Need creative solutions like the ones described here? Join our pool of international clients. You’ll be impressed by our quality & reliability – and ability to stick to your timing & budget.